Lisa is Producing Creative Director of New York Stage Originals, a theatrical production company she co-founded with composer Philip Stern. She has been part of the creative and producing team from inception to production, including shows that have appeared Off-Broadway and toured nationally and internationally. She co-conceived, directed and choreographed the internationally acclaimed “TAP KIDS” (5-star review at the Edinburgh Fringe Festival). “Scrooge” which played Off-Broadway at The Lambs Theater and at Lincoln Center's Walter Reade Theatre and directed and choreographed the US tour of the musical ”Dream” , “Talkies” at the Century Center in NYC, and “Murder They Danced" at Toronto’s Premiere Dance Theatre. 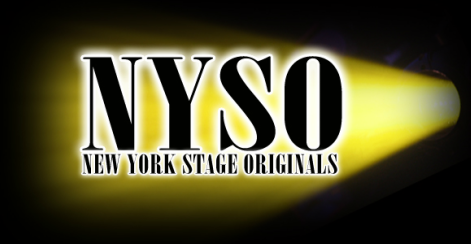 Lisa co-conceived “SING!” , a concept show in development about the reasons why we sing, and is currently on the writing team of “Young Dr. Jekyll” a new musical that is being workshopped in NYC. Lisa received a Scenie Award and a Los Angeles Theatre Ovation nomination for her choreography on “Dames at Sea” at The Colony Theatre in Burbank where she also choreographed the world premiere of Emmy Award winner Mark Saltzman’s new musical “Falling For Make Believe”. She created original choreography for “Irving Berlin’s White Christmas” at San Diego Music Theatre and “The Musical Adventures of Flat Stanley” at The Lewis Family Playhouse in Rancho Cucamonga, CA and “Girl Crazy” for MTG at The Alex Theatre in Glendale, CA. Lisa created choreography for two films, “The Fantastic Clown Club” and “Temptation of Vanity”. Lisa assisted choreographer Kathleen Marshall on the Broadway revival of Stephen Sondheim’s “Follies” where she also acted as dance coach for leading man Treat Williams. Lisa is known for her musicality and eye for the big picture, a passion for storytelling and the ability to bring out the very best in the cast and creative team. She is a team player and has worked extensively with composers, arrangers, musicians, lyricists, lighting and sound designers, videographers, company stage managers and crew and is experienced at working with a wide range of talent. Lisa was faculty at AMDA LA Campus 2012-14 and in Fall 2014 joined the esteemed faculty of PACE University Commercial Dance Program in NYC where she teaches Tap and Theatre Jazz to dance and musical theatre majors. Lisa also teaches regularly at Steps on Broadway. She holds an Honors BFA in Dance from York University, in Toronto, Canada. She is a dual citizen of US and Canada.